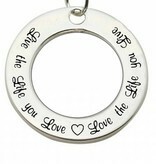 Sterling Silver Washer Pendant from Kaya's 'Words of Love' collection. Gorgeous gift for your Mum, friend or someone special! 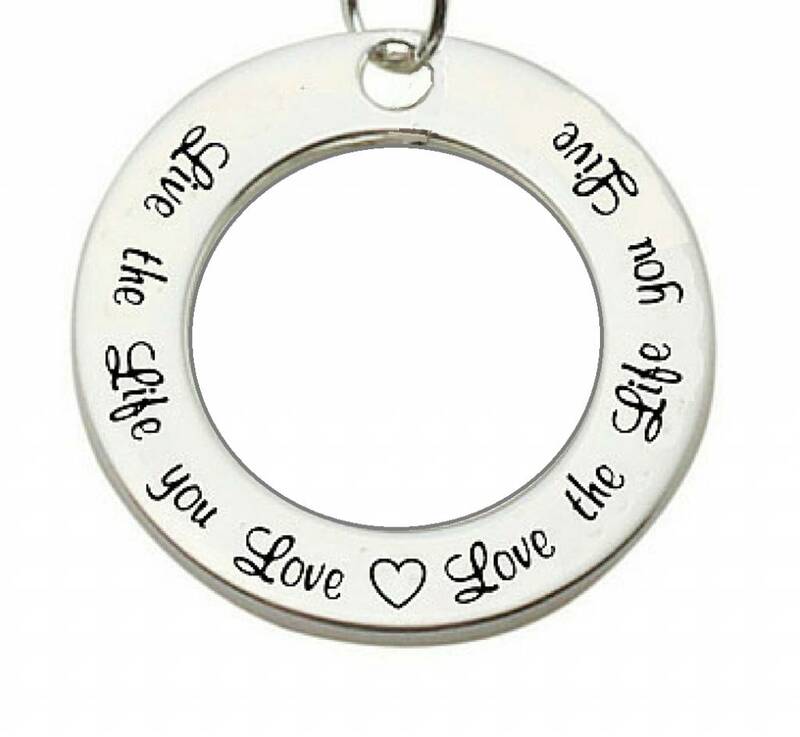 The text Live the Life you Love ♥ Love the Life you Live is carefully engraved in the 22mm round solid silver washer. Choose a silver necklace to go with it, or a pretty charm in the middle to complete the look. Fabulous! ♥ The pendant is made of real .925 Sterling Silver. ♥ To celebrate meaningful moments such as a special birthday, or just to let her know how special she is. ♥ Optional: choose a symbolic charm of your style to further personalise the look. We will add the charm to the middle of the pendant. Or add a chain of your choice in the optional menu. We will assemble them together and wrap them nicely. Both chain and charm are made of Sterling Silver. ♥ KAYA has specially designed these beautiful lyrics for the 'Words of Love' collection. ♥ We gift wrap all our jewellery in a luxury Pink satin drawstring gift pouch with a card for your message. Ready to present!